So I went to the Doctor and I said "Doctor, Doctor I'm feeling depressed, frustrated, lethargic and disillusioned" and he said to me: "You, Mr Arsenalism, are suffering from ennui...more specifically Arsenal ennui"
Of course that exchange didn't actually happen but I have made my own diagnosis of my current malaise. I've had enough of all the peripherals, all the 'stuff' that accompanies my support and love of The Arsenal. I'm going to keep it simple. No more checking on NewsNow Arsenal, I'm not going to read Blogs: good, bad or indifferent, I'm abstaining from reading about Arsenal in the press, all Sports Radio presets are now erased and Sky Sports will remain unwatched outside of the first and last whistle of those Arsenal games I can't get to and I'm off Twitter.I'm going to remove myself from the civil wars of words amongst supporters of the Arsenal and I'm going to be free of social media influences (subliminal and otherwise). I'm just going to support my local team. The Arsenal are my local team. Being born and brought up in and around Upper Street, schooled at St Mary's off Essex Road and Highbury Grove Secondary (a stones throw from Highbury)The Arsenal have always been local.Having lived in various other parts of London I now live a twenty minute walk, or a hangover free seven minute bike ride, from the Emirates stadium. So yes, I support my local club and that's all I'm going to do from now on. Go to watch the Arsenal play for 90 minutes and watch the Arsenal on TV for 90 minutes with the sound off. Amidst all the other paraphernalia I have become jaded and, quite frankly, fed up by the Arsenal circus, the Gunners hoop-la. 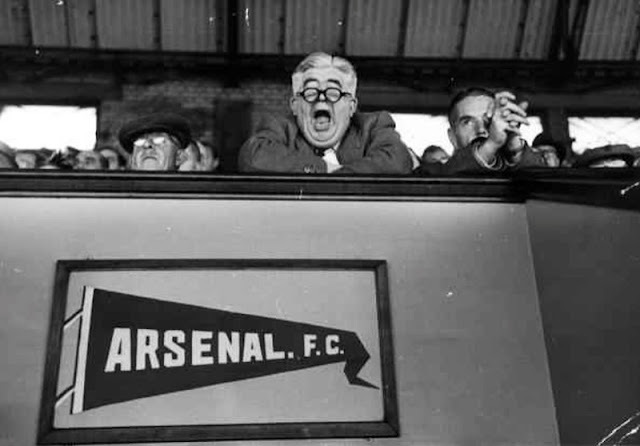 I'm going to extricate myself from the near obsessive relationship and try to enjoy The Arsenal in a simpler context. I am a realist and therefore I have set myself a target date of my birthday to come out of my self imposed semi-hibernation. When that day comes in three months I hope to have a different, purer relationship with my club and by definition be able to write this blog with more focus and clarity...and love. See you all then. Arsenalism out.